Canada’s top uranium producer Cameco (TSX:CCO) (NYSE:CCJ) injected some optimism in the depressed yellow powder market by posting a better-than-expected quarterly profit, on the back of improved prices and its efforts to cut production to ease a current oversupply. Uranium prices have fallen more than 70% since the Fukushima disaster in 2011, remaining low since then as a result of global glut of the commodity and excess inventory in the industry. But Cameco’s announcement in November that it’s suspending operations at its flagship McArthur River mine in northern Saskatchewan for 10 months, and surprisingly deep three-year cuts by Kazakhstan’s state-owned Kazatomprom, have helped the market so far this year. In fact, Cameco said its fourth-quarter average realized price for uranium increased by 4% to $39.44 per pound in the quarter ended Dec. 31. Cameco said its fourth-quarter average realized price for uranium increased by 4% to $39.44 per pound in the quarter ended Dec. 31. Net loss narrowed to $62 million, or 16 Canadian cents per share, in the period, from Cdn$144-million, or 36 Canadian cents per share, a year earlier. Revenue, however, dropped by 8.8% Cdn$809 million, from Cdn$887 million. The Saskatoon, Saskatchewan-based company has also been taking drastic cost-cutting measures, including the suspension of Rabbit Lake in 2016, which left 500 people unemployed. The company has also stopped development and curtailed production at its US operations, reduced workforce across all sites including head office, changed air commuter services for operations in Saskatchewan, changed shift schedules at two Saskatchewan sites, and downsized corporate office functions including a consolidation of its global marketing activities. 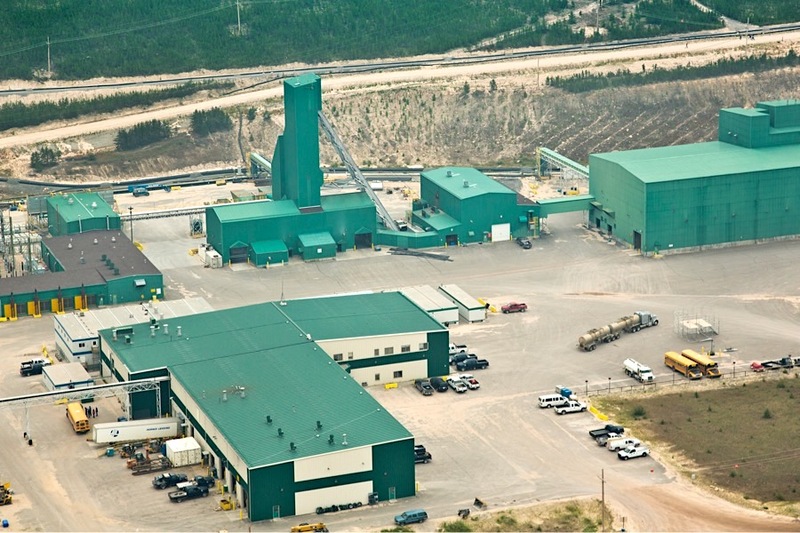 At McArthur River, Cameco fully shut down operations last weekend and said that only care and maintenance crew remain on site. “While these decisions have been difficult, we are starting to see them reflected in our lower capital, operational, and administration spend, and our cash flow generation,” the uranium miner’s president and CEO, Tim Gitzel, said in a statement. “We will continue to evaluate our strategy in the context of the market,” he noted. With the closure of McArthur River, the company now has only two significant mines in operations — Cigar Lake in Saskatchewan and the Inkai mine in Kazakhstan.